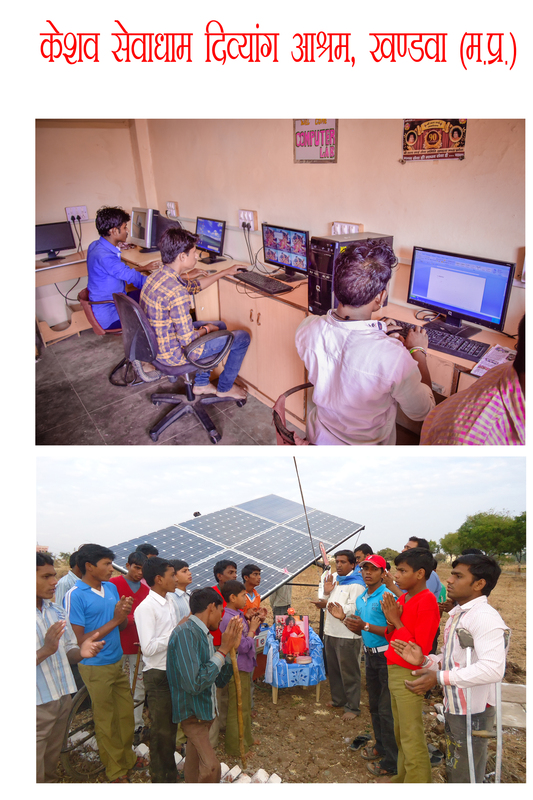 Sewa Bharti Keshav Sewa Dham D Boys Hostel, Khandwa : A step towards Education and Self-Reliance…. Keshav Sewa Dham Divyang Boys Hostel, Khandwa has been operated from the year 1988 for the upliftment of Divyang Children. The Children here has been provided with proper education, nutrition & transport medium to facilitate their day-to-day life. The hostel has given them immense support to grow towards their self-reliance. There are many students who have completed their engineering, ITI, graduation agraduation courses and pursuing their self-reliant career. At present there are 32 students who are residing in the hostel and pursuing their education. education they are being given training of Solar energy generation, Organic Farming, Gardening, Computer Training, Motor Repairing, Water Conservation Techniques, etc. It’s been a pride for the Hostel that any student is not unemployed now who has taken education fr The Gaushala, Solar Energy Panel, Water conservation unit, Computer Lab.,Garden, etc. 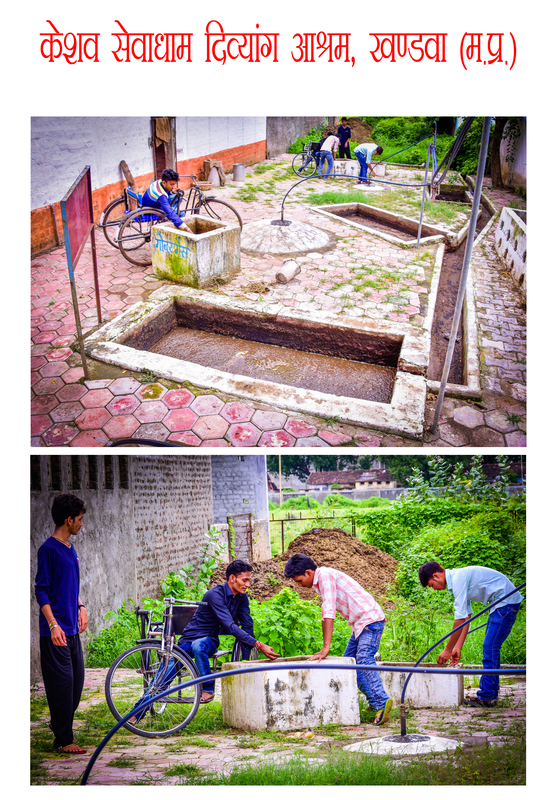 maintenance and operation has been done by the students itself. The total area of land available here is 3.66 Acres out of which 6000 square feet have been built up till now. On the one part of this land, Keshav Sewa Dham Divyangbuilt up and on the other side a new hostel is projected for the girls from tribal and village regions. In this newly built premises 45 girls proper education, nutrition and training for their self-reliance. Self-employment facilitation centers like Computer Training, Stitching Training, etc. will also be operated here for the girls of nearby regions. Cost of the total project is estimated to be Rs.92 Lacs as per the recommendation of Architect. Sewa Bharti Keshav Sewa Dham Divyang Boys Hostel, Behind polytechnic collage, Khandwa, 8989822899, 0733-2248332, 0731-2548483, 7354364316.